Leading Osaka’s fine restaurant scene is a master chef who seeks for the most natural way to savor sushi. “Gentle sushi” as he describes it, Harasho’s cuisine is minimalist in approach while founded on classic Edomae principles. 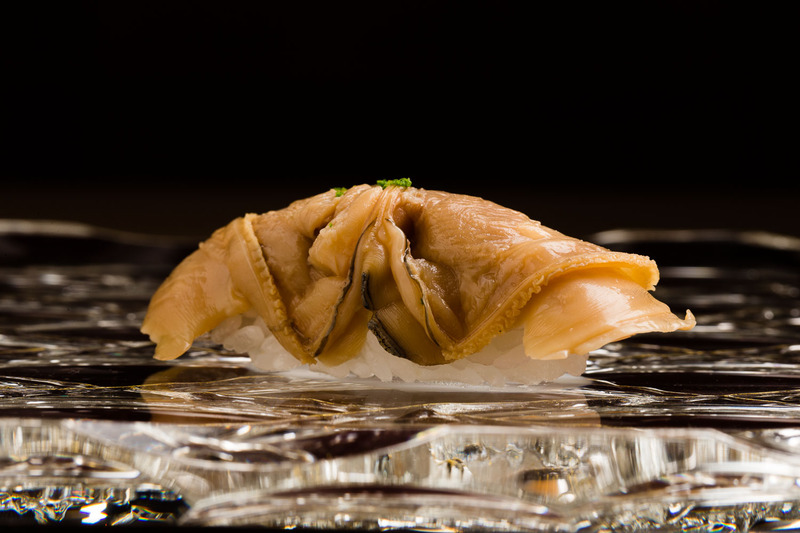 Focusing on the pure flavor of the fish, the restaurant continues to earn two Michelin stars and allure gourmands from across Japan and abroad. Relocated to a new location in the southeastern end of the city, Chef Ko Ishikawa has invested time and energy in curating a space worthy to serve top-class sushi. Found in a quiet residential neighborhood, the picturesque entrance is set with curated greenery and a kawara tile roof, creating a peaceful ambiance. Behind the thick noren curtain, a tall vase of seasonal flowers, arranged by the chef’s sister, welcomes all those who make the pilgrimage. 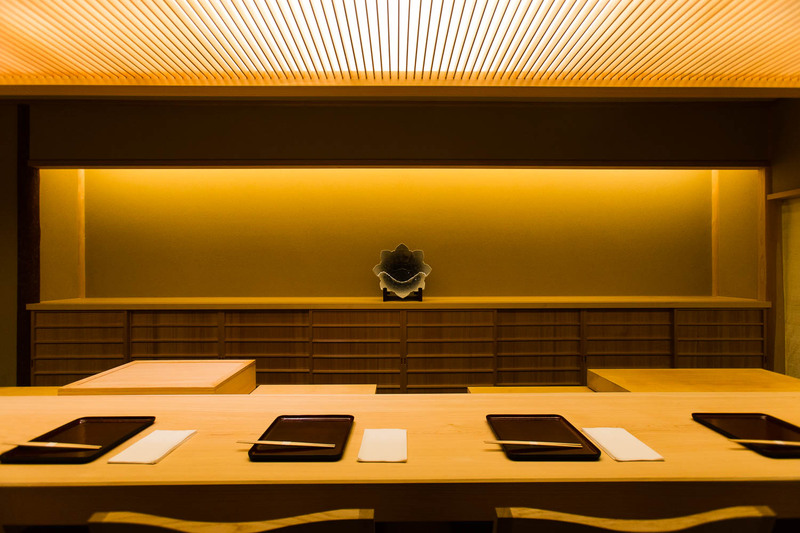 Taking more than six months to complete, the interior of the restaurant is built using traditional sukiya-style architecture, the fine work by Sankakuya, a group of Kyoto craftsmen. Lit up with spotlights, the 23-feet hinoki wood counter stretches long and wide, allowing as many as eleven guests on one side, and two chefs on the other. The chairs are set slightly apart, setting a luxurious scene for the exquisite meal to be commence. As you sit down in your chair, your eyes naturally gravitate toward the single piece of art behind the counter. The flower-shaped plate with deep gray tint is a masterpiece by Imaizumi Imaemon, the legendary Iro-Nabeshima porcelain artist and a Living National Treasure. Surrounded by works of true craftsmen, here is the stage where Ishikawa performs his mastery. 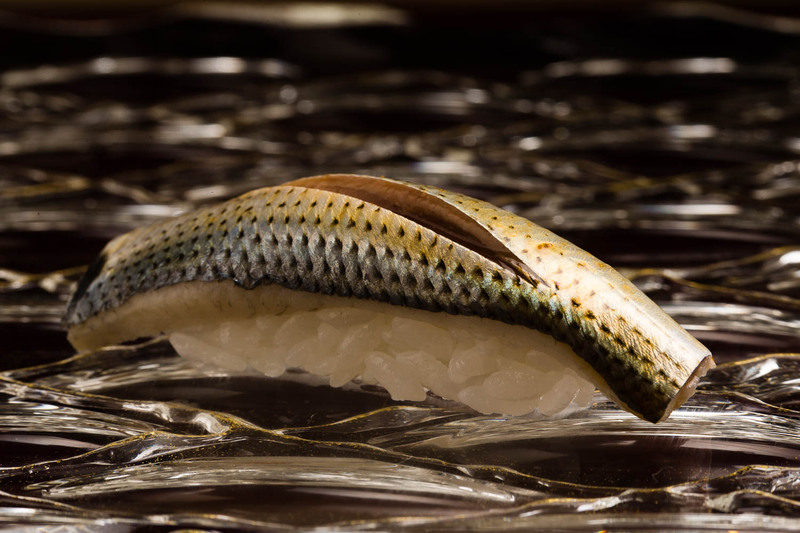 Contrast to the strong flavors of classic Edomae-sushi, the tastes of Harasho are subtle, delicate, and so easy to eat a lot of. 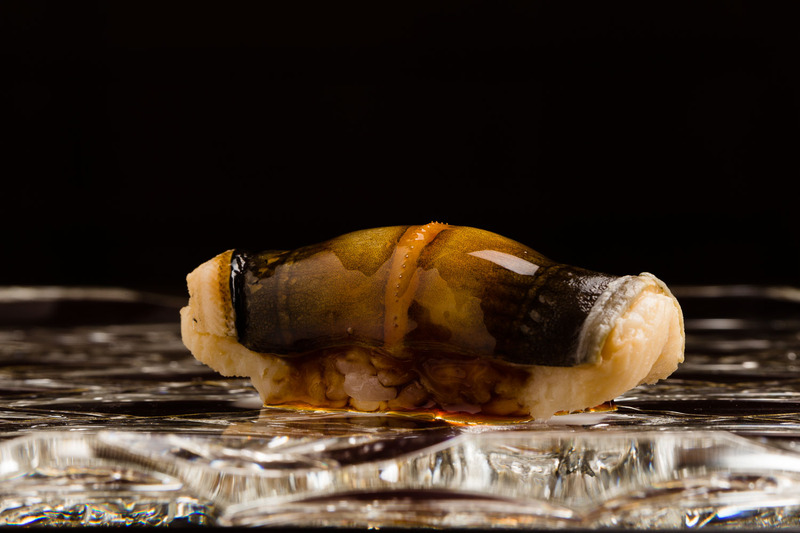 “Sushi that you can keep on eating for a long time,” is what the chef hopes his sushi to be. By maximizing the potential of the fish itself, there’s no need to work on it excessively, he explains. 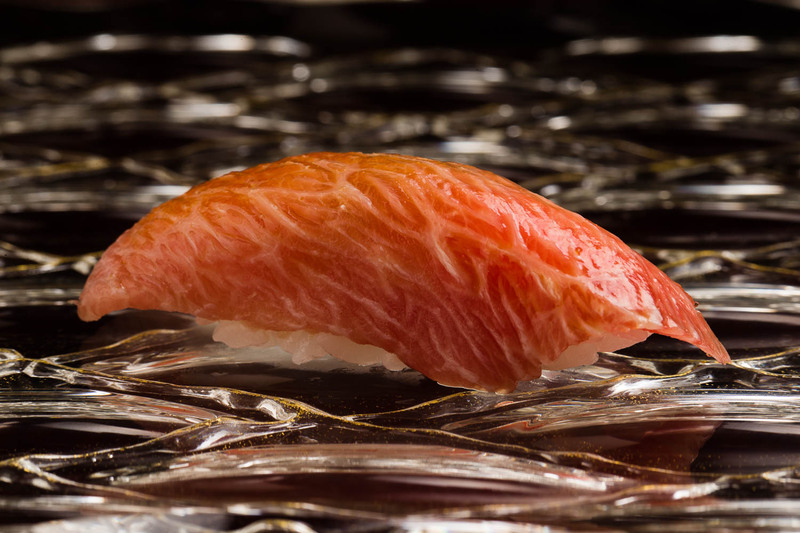 Going against the recent popularity of red-vinegar sushi and aged sushi, he wants to keep his sushi minimalist. 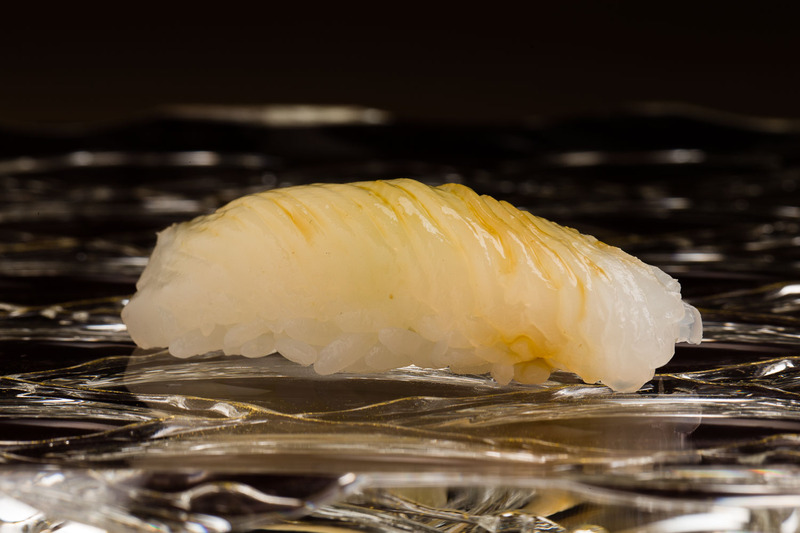 Using only one type of vinegar made by an old maker, the sushi rice has a clear and pure flavor. The shiny grains are grown in Shiga, and are polished to various degrees depending on the season to adjust the subtle difference in aroma. 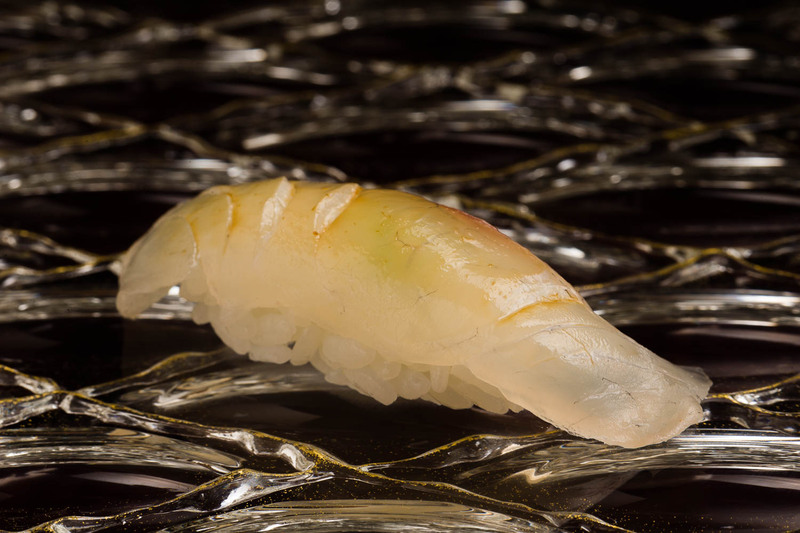 Served on breathtaking glass tableware, each morsel of sushi looks like a gem. The almost transparent piece of squid is softened by adding many hidden slits on both sides of the layer, allowing it to melt in your mouth the moment you eat it. He also doesn’t believe in adding unnecessary flavors either. While many chefs use sheets of kombu to infuse more umami, the snapper is simply rested on its own to bring out its natural flavor. The Gizzard shad, a classic Edomae pick, is vinegered only lightly. The fish is so fresh the skin shines gold under the spotlight. The fatty tuna is ever so sweet. Instead of chutoro or otoro, Ishikawa likes to serve kamatoro, the marbled meat off the jaw. The chef often selects fresh catches from the Japan Sea and Kyushu ports, but quality is the most important rule. He makes daily trips to the market in Tsuruhashi in search for the best fish. He prefers not to buy directly from fishermen as he wants to minimize the risk of not being able to switch from one seller to another in case of bad weather. He believes that the marketplace is the most efficient way of finding the best produce available on that particular day. Earnest and hardworking, Ishikawa is a true craftsman. Growing up, he was familiar with the art of sushi as his uncle ran a sushi restaurant. He also used to help out a nearby Chinese restaurant when he was in high school. It was only natural for him to enroll in a culinary school but he wasn’t quite sure which cuisine he would specialize in. 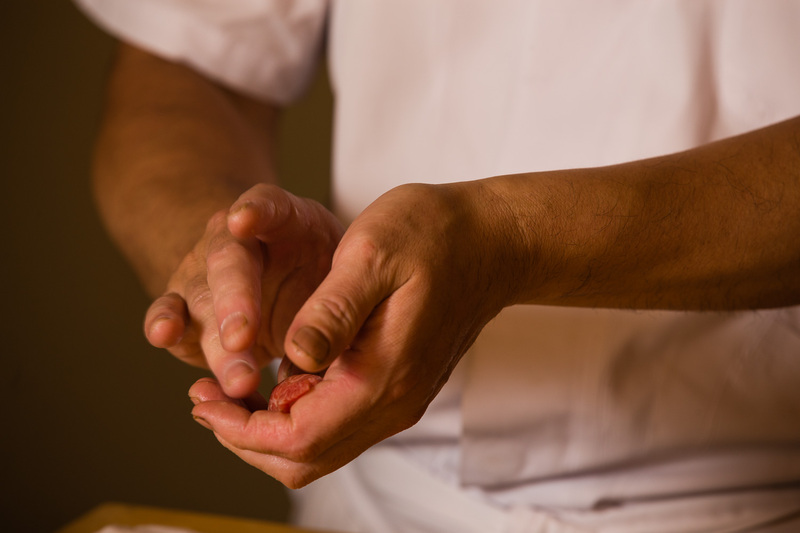 After graduating, he first began training at Kinsui, an Osaka establishment for traditional kaiseki. He also had an interest in western sweets, but he was allured to the strong discipline and deep culture behind Japanese cuisine. He joined the Japanese restaurant inside Bay Sheraton, where he learned about running a bigger business. Later, he found his way to a smaller sushi restaurant where he spent the next seven years mastering his skills. It was after experiencing the Great Hanshin Earthquake in 1995, he felt a strong urge to want to build his own business, and began working towards his dream of opening his own sushi restaurant. He was 34 years old when he finally opened Harasho. The early days were tough with very few customers, he remembers. He had a handful of local customers that helped him survive. The big turning point came when Michelin began covering Osaka, giving Harasho two stars from the inaugural year. The word on Harasho’s sushi quickly spread, and now it’s very difficult to get a reservation here. 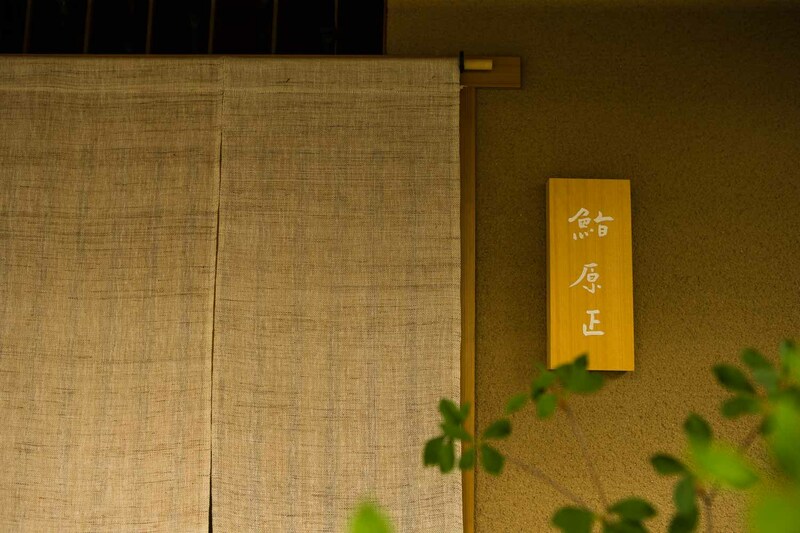 Thanks to Michelin’s reach, more international guests are coming to enjoy Harasho’s sushi. The chef says it’s been a source of new inspiration as he and the staff learn to speak more English or try to come up with ways to satisfy foreign guests. 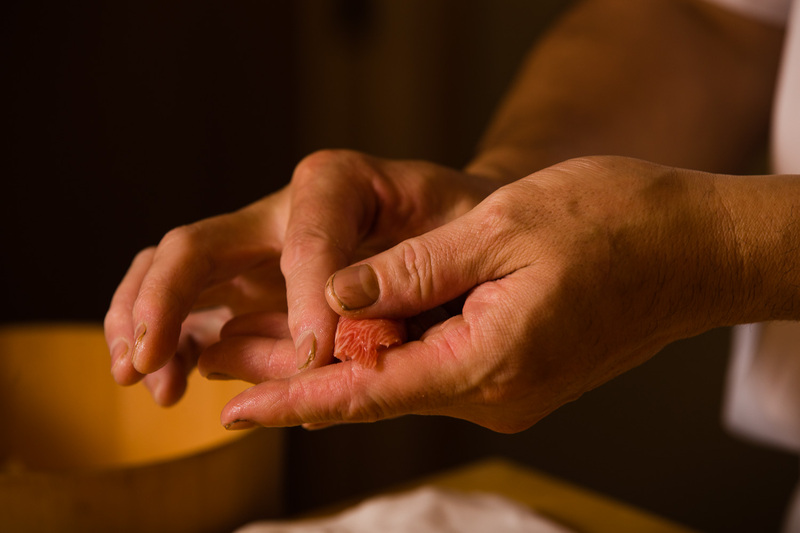 He is grateful of the international recognition and hopes to continue delivering the highest quality sushi. There is another important reason why Ishikawa decided to move to a bigger location. As the restaurant began attracting more customers, he felt felt a sense of responsibility in raising the next generation of sushi chefs. He also spent a fortune on the highest quality material and top artists to build the restaurant because he wanted his young apprentices to know what true craftsmanship looked like. For him, it’s always been about the big picture. Rather than trying to expand the business quickly, he believes in the long term and sustainability. For that reason, he closes the restaurant two days a week, instead of just one. Given the hard and long day of running a sushi restaurant, he wants to make sure that he and his staff are well-rested and recharged to offer the best possible experience for every guest. 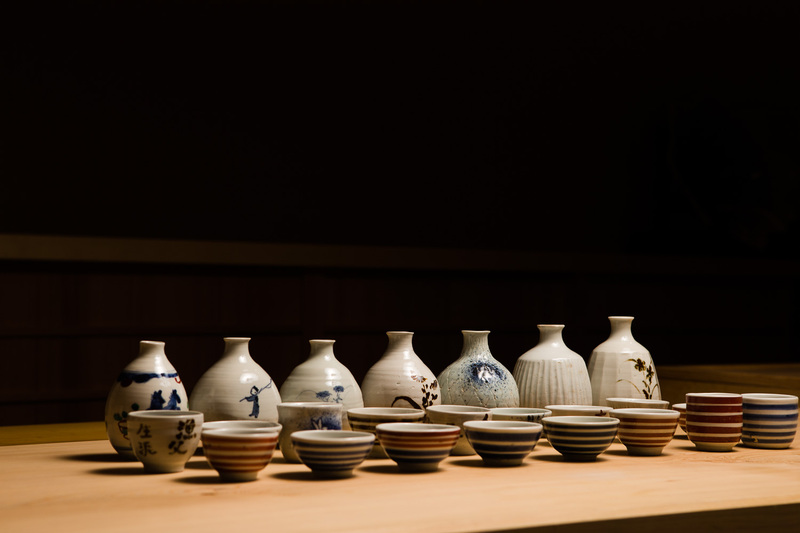 Over the years, Ishikawa has collected an amazing assortment of Koimari Japanese porcelain. In particular, he is a dedicated fan of Kiyonobu Kato, a Kyoto artist, whose work is rarely available for sale. Many of the plates and tea cups used during the meal are Kato’s. 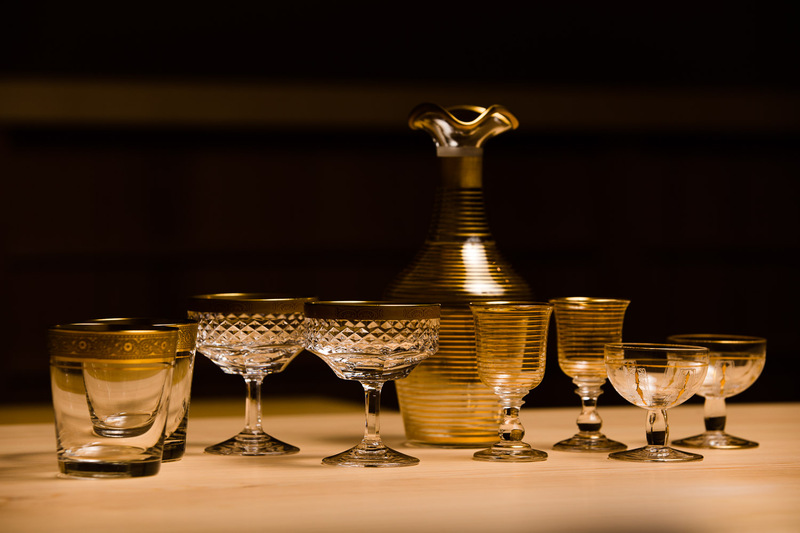 For glassware, he is a passionate collector of Akira Watanabe, an artist of kiriko, a traditional glass-cutting technique.